These days I mostly report on stories that intersect with the environment and/or science. These stories have taken me from the tops of mountains by helicopter, to genetics laboratories. I’ve picked a handful I think highlight a range of topic and form. Please follow me on Twitter and on Facebook for more regular updates on my work! 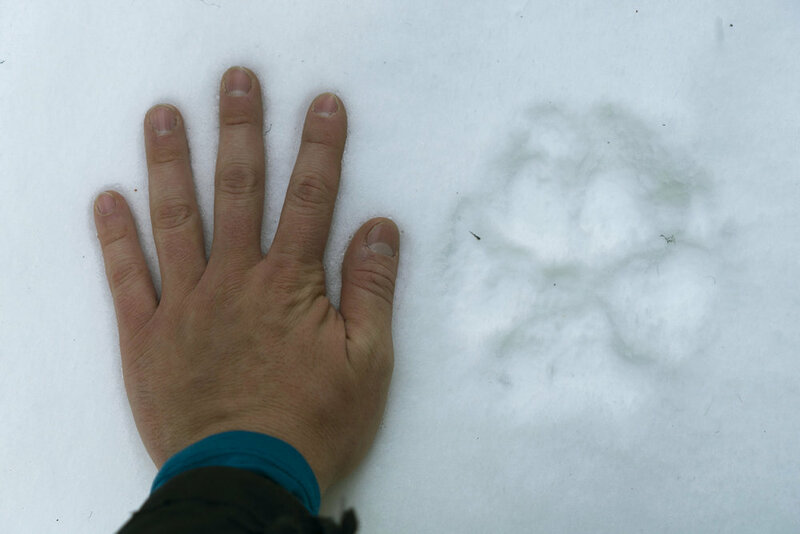 In 2016, a wolf pack near the town of Banff in Canada’s busiest national park took a big hit. From an estimate of nine wolves, down to just three at the time this doc was produced, the future of this pack was uncertain. 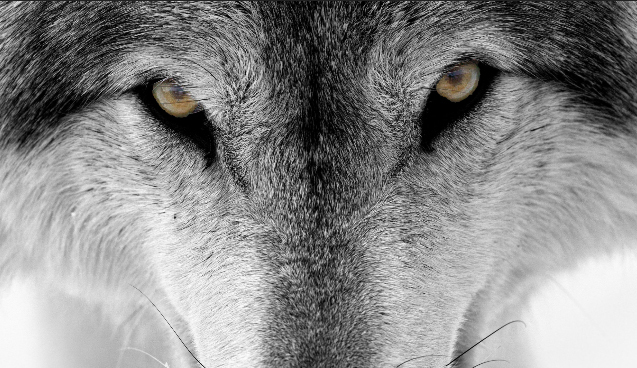 I follow the wolf pack’s story over the course of the year, as six of them die out. I produced this 24-minute documentary for CBC Radio One’s The Doc Project. The thing that really stuck out when I moved to Canada’s Rocky Mountains in August 2015 was just how obsessed everyone was with bears. Some people love them; other people are completely terrified of them. This got me thinking, why have people and cultures venerated and denigrated bears, across geographies and eras? And how do these stories we tell about bears influence how we treat them? I explore this in my feature documentary for CBC Radio One’s Ideas, which aired in November 2017 and April 2018. Blackfoot scientist Paulette Fox knew from a young age she had to help bring free-roaming bison back home, to southern Alberta’s Blood Reserve. As a kid she didn’t have an idea of how to do this, but looking out at the prairies, she was certain these animals were missing. I visited the Blood Reserve in July 2017 to find out more about Paulette’s journey to bring the bison back, both physically and spiritually. This documentary aired on CBC Radio One’s Tapestry in January 2018. Banff National Park in the Canadian Rockies is known best for its soaring peaks, turquoise lakes and wildlife. 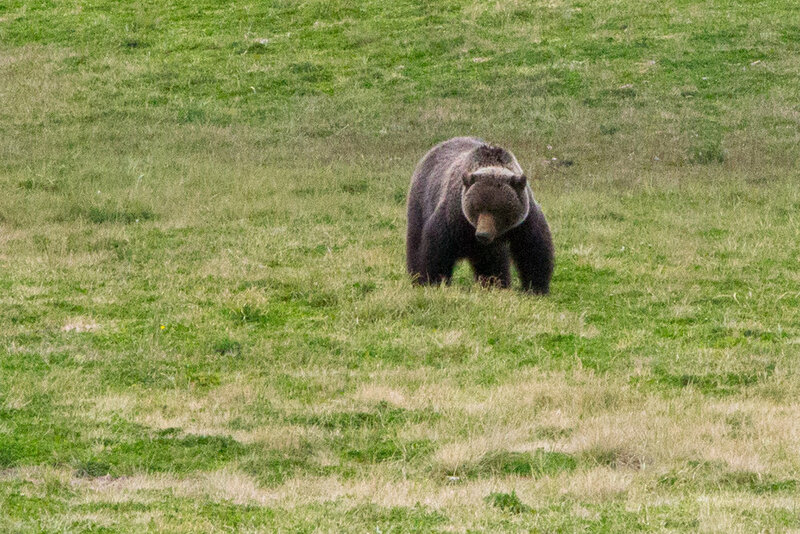 Visitors love to catch a glimpse of a bear, a wolf or an elk. But, with the twinned Trans-Canada highway winding its way through this busy park, crossing the road is a huge challenge for the critters who call Banff home. I explore the science explaining how the physical design of these pathways have big implications for animals. This story aired on WHYY/NPR’s The Pulse in January 2018. A modified version of the story also aired on WBUR/NPR’s Here & Now in February 2018. In winter, a blanket of snow covers the mountains and the forests of Banff National Park. It seems like all wildlife is hibernating. But, if you know where to look, you can find clues about where critters are going. By looking at where animals are travelling, biologists can paint a picture of things that might be blocking their way or changing how they use the landscape. I tag along with a biologist in the field on a snowy day. This story first aired on CBC Radio One’s The World This Weekend in February 2018. Scientists at the University of Calgary are using zebrafish to help speed up the process of finding new medicines. The researchers use these tiny, tropical fish to test already-approved epilepsy drugs because they are cheaper and easier to store than mice. I stopped by the lab to meet the miniscule superstar making this work happen. This story aired on WHYY/NPR’s The Pulse in June 2018.